Allowing students to take control and responsibility of their learning is essential to a successful Guided Reading experience. Holding students accountable teaches them responsibility and independence. 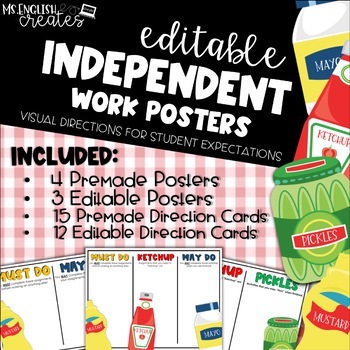 These fun posters are great for a visual reminder for students while completing assignments. There is something for everyone! Even early finishers will have options of various activities to complete during literacy centers. 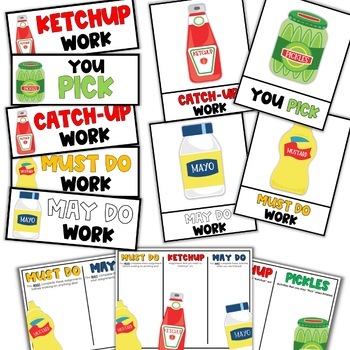 My students love using the Must Do, May Do, You Pick, and Ketchup posters in class. Use these fun, editable, and engaging posters weekly for your literacy centers!